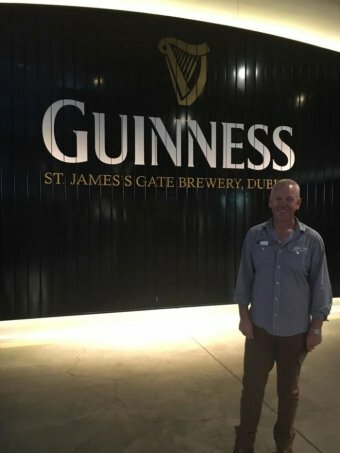 The full itinerary of SA Police Commissioner Grant Stevens’ overseas trip will be made available to the public, after Facebook photos surfaced showing him at Dublin’s Guinness factory, in front of Big Ben, and attending the Royal Windsor Horse Show. Mr Stevens is currently on taxpayer-funded overseas business, accompanied by family including his wife Emma. The photos on the Facebook page of his wife show Mr Stevens at various locations around Dubai, the United Kingdom and Ireland, including the grounds of Windsor Castle, a Berkshire pub and countryside near Dublin. Police Minister Peter Malinauskas told 891 ABC Adelaide the “overall majority” of Mr Stevens’ trip was “official business”, but said his full itinerary would be publicly disclosed upon his return. “It’s entirely reasonable for taxpayers to ask the question about any of the ways their dollars are being spent, and I don’t think the Police Commissioner is seeking to hide from any of that,” he said. “Naturally, when someone is away they’re entitled to a bit of downtime, a bit of time-off. “It just so happens there might have been some photos when that time-off has occurred, and it’s made its way on Facebook. “His entire trip away will be made publicly available upon his return, so through the proactive disclosure requirements that have recently been brought in. In a statement, SA Police said all Mr Stevens’ expenses were approved by the Minister “and authorised as per normal government protocols”. “Commissioner Stevens is currently on a business trip. He is being accompanied by his wife, Emma,” it said. Mr Stevens has been away for more than a fortnight, and his official engagements included the Queen’s 90th birthday celebrations where the Band of SA Police performed. “This event had a huge audience and was part funded by SA Police. The event organisers paid for accommodation, food and instrumental freight charges for those attending,” SA Police said. Mr Malinauskas said he was not required to sign-off on the trip because Mr Stevens has a “great degree of autonomy” under the Police Act. “Everybody knows that when you’re using Facebook, discretion is the better part of valour,” he said. President of the state’s Police Association, Mark Carroll, said people could make their own judgments “when they know the full facts”.